Advanced Micro Devices has flexed its processor muscles and has released the industry’s first commercial 5GHz CPU – namely the eight-core FX-9590. Although targeting the games market initially, the chip has lightning fast graphics and should be ideal for computer aided engineering design projects. AMD, which sees the gaming industry as a growth opportunity, rolled out the FX-9590 and FX-9370 (at 4.7GHz) on 11 June at the Electronic Entertainment Expo (E3) in Los Angeles. The two new CPUs are based on AMD’s “Piledriver” architecture, which came out last year and offers significant improvements over the previous “Bulldozer” core in several areas, including energy efficiency. AMD, Intel and other chip makers over the past several years have moved away from chip speed as a key metric for processors, focusing more on such features as core count and energy efficiency. However, in the lucrative gaming industry, chip speed is important. 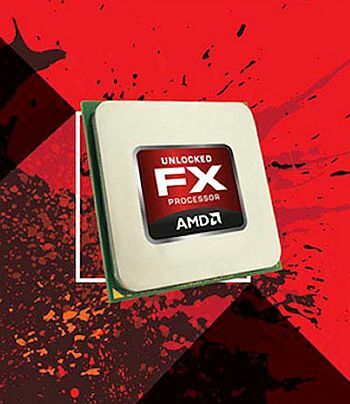 Both of the new CPUs are part of AMD’s FX portfolio of chips. Each comes with eight Piledriver cores, are unlocked for easy overclocking and feature AMD’s Turbo Core 3.0 technology, which enables maximum computing capabilities for compute-intensive workloads by dynamically optimising the performance across the CPU cores. The new CPUs will be available this summer, according to AMD. This first appeared on TechWeekEurope UK. Read the whole story here.